St. Paul police and African-American leaders are urging witnesses to come forward after a rash of shootings in the city. Nine people have been shot in St. Paul since last Friday. Two, Bobby Davion Collins, 18, and Charles Anthony Hudson, 31, were killed. 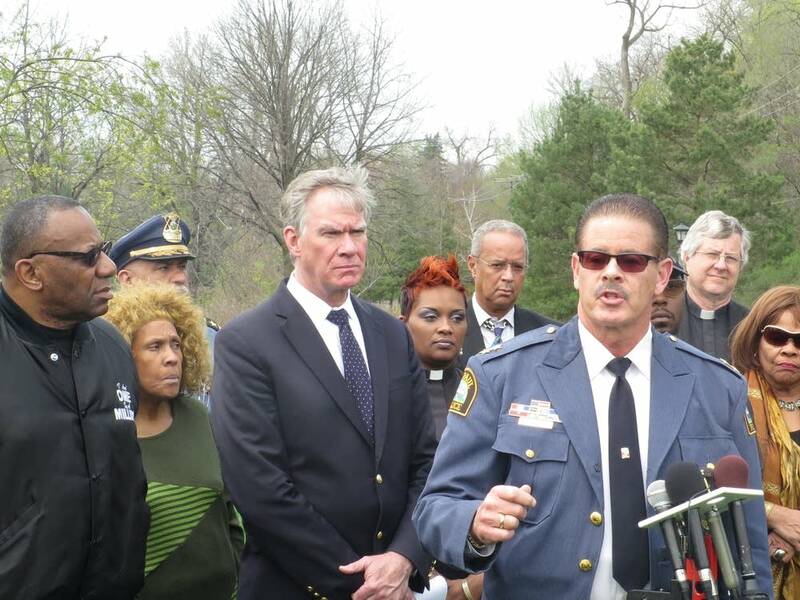 At the site of Sunday's shooting at Indian Mounds Regional Park near downtown, St. Paul Police Chief Tom Smith and Mayor Chris Coleman held a news conference Wednesday with religious and community leaders to call for peace. As Smith talked about a separate shooting, he expressed frustration about the reluctance of witnesses — and even victims — to point the finger at perpetrators. Smith described a situation from a couple weeks ago where a young man was shot and suffered a minor gunshot wound. When investigators were asking the victim who the perpetrators were, he refused to answer and said, "It's all part of the game," according to Smith. "Well I'm here to tell you as your chief of police this is not a game," Smith said. "None of us behind here think this is a game." Community leaders agreed with the police chief, saying witnesses need to come forward. Nathaniel Khaliq, a former NAACP head and city councilman, said anyone who has information about a shooting needs to talk to someone about it, "otherwise you've got blood on your hands." Khaliq also said the Black Lives Matter movement is about more than just people killed at the hands of police. "I don't want anybody, especially these young folks, to get it twisted," he said. "When we're out here marching, talking about Black Lives Matter, we're talking about all black lives matter. Regardless of who the perpetrator is, we as a community, we're going to seek justice, and bring those responsible to justice and hold them accountable." Khaliq also urged parents to search their kids' rooms if they suspect there are weapons in the home and if they find anything, hand the weapons over to authorities. 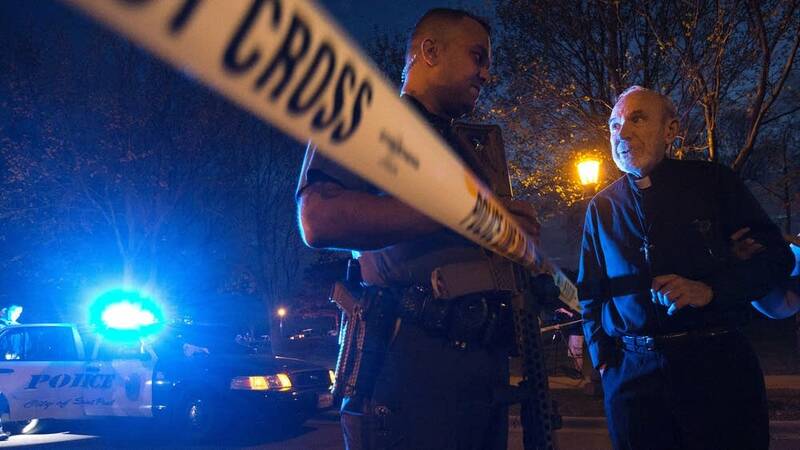 Typically there's a rise in shootings when the weather is warmer and more people are outside. But Smith made a point of saying that most of these recent incidents — especially the ones involving large groups of people — are often organized on social media. He said there's no way to monitor it constantly, but some of his officers have received training about how to use social media in investigations. St. Paul Mayor Chris Coleman urged Smith to look at the police department budget and re-prioritize money to pay overtime to get more officers and investigators out on the street. The first happened just after 7 p.m. Sunday at Indian Mounds Park near downtown. Police say a large crowd had gathered there for a barbecue when several people got into a fight over gang names. Collins was shot in the back of the head. He died at the scene. Witnesses told investigators they heard dozens of gunshots and believed there were multiple shooters. Police found shell casings of different calibers in several places in the park. So far the only people arrested in the case are not facing murder charges. Prince Williams, 24, and Rashawn Porter, 18, were charged on Tuesday with crimes committed for the benefit of a gang and rioting. Another 18-year-old, Rayvion Brooks, was charged Wednesday also with riot to benefit a gang. Brooks and Porter are from St. Paul. Williams is from Minneapolis. Police have reviewed cell phone video a witness took just before the gunfire erupted. When showing the video to investigators, the witness pointed out a man he believed to be the shooter, but police have not found that person. Less than 24 hours later and about three miles away from the park, Hudson was shot and killed on Magnolia Avenue in the Payne-Phalen neighborhood. No one has been charged in that case.